DU Home » Latest Threads » Forums & Groups » Main » General Discussion (Forum) » Marty, Canadian. Made my night. Thanks for posting. That is the spirit of Canada. "O Canada!" Remember Gander! [Deity of choice or none] bless Marty and all like-minded people. NICE. Kinda restores one's faith. Does Canada accept Trumpistan refugees? Thanks for finding this, sl8! 1. Made my night. Thanks for posting. 2. 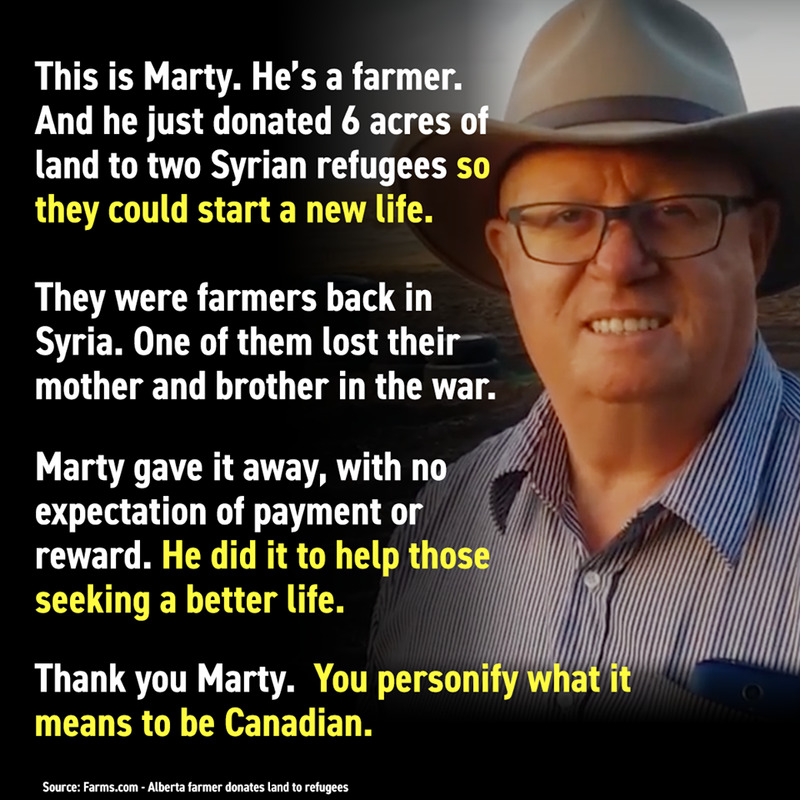 That is the spirit of Canada. "O Canada!" Remember Gander! 3. [Deity of choice or none] bless Marty and all like-minded people. 4. NICE. Kinda restores one's faith. Thanks for posting this, sl8. 5. Does Canada accept Trumpistan refugees? 7. Thanks for finding this, sl8!